If you have some numbers to port, this is a deal you’re not going to want to miss. 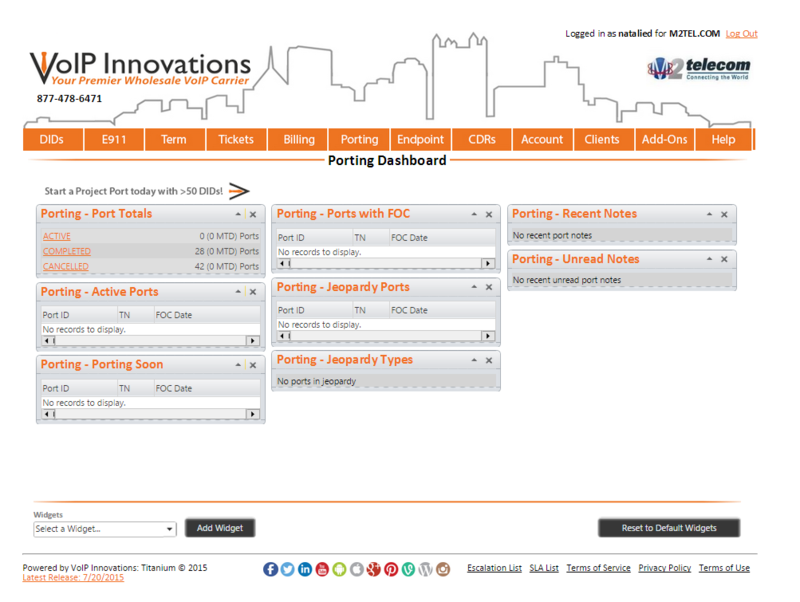 VoIP Innovations is offering project number porting for anyone who eligible and has 10 or more numbers, for as low as free. You have until October 23, 2015, to act! Don't have the 50 numbers that are normally needed to qualify for project porting. Hate the meticulous work that goes with the standard process. Love automation and simple tasks. This deal will allow you to go through the automated project porting process despite only having as little as 10 numbers to port. If that isn’t simple enough, you can also see the details of your DIDs immediately after porting your numbers in the BackOffice! We hope you enjoy this deal on porting your numbers. If you want to explore what else you can do with your VoIP services, try out a free trial to our BackOffice!